Well, if I were to go to Cannes for the Film Festival, I would wear this beauty by Valentino. 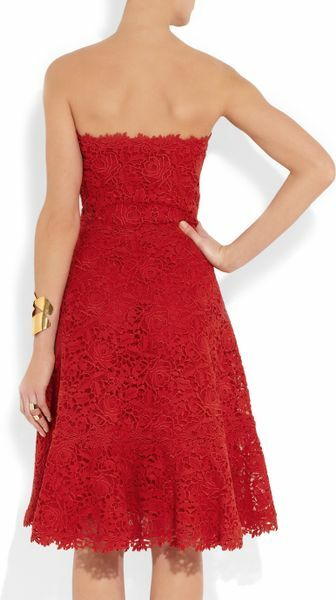 This Red Strapless Cotton Macrame Lace Dress is an absolutely stunning statement dress made of cotton and silk. Who needs a red carpet when you have a red dress, er, well, I would opt also for the red carpet.